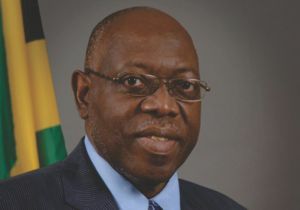 After months of denial of the scope of a chikungunya outbreak in Jamaica, and with several deaths related to the virulent illness, the government has begun to take some action that many, including the opposition Labour Party (JLP,) believe is too little too late. There are no real figures as to how many Jamaicans are infected with the chikungunya (pronunciation: \chik-en-gun-ye) virus, but at least three high school students,a teacher and two elderly people in different parts of the island have died from suspected cases of chik-V as it is colloquially known. While Chik-V whirred around the Eastern Caribbean territories, not much was done to protect the public, except a few mosquito fogging visits to some areas. At the start of October, the health minister was saying there were only 35 cases of chik-V. He subsequently left for Cuba to get advice on how to deal with the threat of Ebola. Simpson Miller’s belated chick-v response got limited endorsement from the JLP, and some sneeringly say it’s because it reeks of the pork barrel patronage politics that rules Jamaica. About $180 million of the total announced goes directly to the 14 parishes and 60-odd MPs, based not on identified need nor size but equal rationing. This allocation suggests that on the eve of a general election year, it’s likely make-work such as roadside and vacant lot de-bushing jobs that will be given to loyal party supporters desperate under the burden of a stagnant economy that predates the 2007 global meltdown and an International Monetary Fund loan program to “fix” the economy–the real chik-V of the entire population.